Long Island abounds with great seafood restaurants where you can enjoy fresh catches-of-the-day, shellfish, and more. Some of these top seafood restaurants are more formal and elegant and some are casual with a view of the marina and fishing boats. 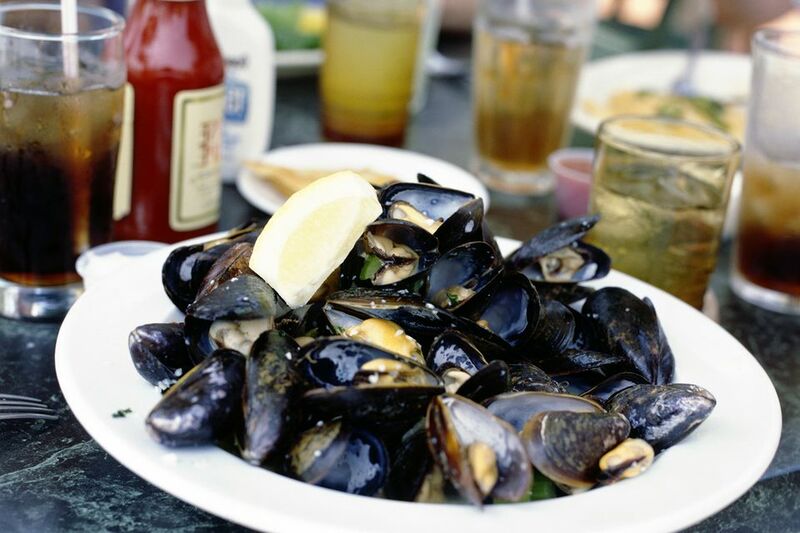 From Port Washington to Port Jefferson and towns in between, you'll find great Island eateries that serve up the bounty of the sea. This elegant seafood restaurant on Manhasset Bay has been pleasing seafood lovers since 1905. Louis Zwerlein, the founder, started the business with a barge called “Kare Killer," a floating cocktail lounge accessible only by boat. Things evolved over the years and now Louie's is a favorite for cocktails and local seafood. Louie's has an extensive menu featuring seafood, like clams and oysters on the half shell, crispy calamari, pan-seared salmon, and whole branzino. Ask for a seat near the large windows for a lovely view of the harbor. Mill Pond House is a fine dining restaurant serving fresh seafood in a romantic atmosphere. The restaurant is housed in a nearly 100-year-old Colonial style home. Enjoy your meal by soft candlelight as you look out over the old Mill Pond and watch the swans swimming by. Choose from the large sushi menu, raw bar, or entrees like pan-seared salmon with quinoa and asparagus and live Maine lobster. Watch for special events like the Monday night Lobster Bake. This elegant restaurant on Freeport's Nautical Mile is open year-round, six days a week. Calling itself the place "where land meets the sea," E.B. Elliot's serves up a variety of excellent seafood, from fish and chips to cedar plank salmon. They also serve steaks and poultry. The lively crowd enjoys open mic nights, karaoke, and the restaurant's ample bar. Stop by this casual eatery for fried flounder, lobster, swordfish, and more. Or, just drop in for drinks at the bar overlooking the marina at Gardiner's Bay. The restaurant, with plenty of outdoor deck seating, sits out over the water just west of the Cross Sound Ferry. Check its website for times of operation, since it typically closes during the winter months. This upscale Greek restaurant specializes in fresh seafood and gourmet Greek appetizers and desserts. The elegant, spacious restaurant offers tempting appetizers made from fresh vegetables and Greek cheeses prepared in the Mediterranean style. One of their experts will walk you over to the display case of fish and other seafood to help you choose your meal. Greek and international wines are available to be paired with your chosen entree. Reservations are highly recommended. Enjoy delicious seafood along with views of the Great South Bay in a casually elegant setting. VIEW was once part of William K. Vanderbilt's Idle Hour Estate. VIEW serves appetizers like jumbo lump crab cakes with Meyer lemon aioli, mango, and avocado. Try one of their delicious entrees, including Maine lobster pasta with roasted corn, smoked bacon, caramelized shallots, mushrooms, cherry tomatoes, cognac cream, and garganelli pasta. Come to this elegant restaurant for appetizers like baked clams, steamers, and oysters fried or on the half shell. Entrees include live Maine lobster, crab, jumbo shrimp, as well as steaks. Top off your dinner with a slice of their famous banana cream pie. The Jolly Fisherman and Steak House has been a staple of Roslyn since 1957. You'll enjoy your lunch or dinner with outstanding views of the Roslyn Duck Pond. The Jolly Fisherman offers special meals on holidays. From crab cakes to halibut and swordfish, scallops, salmon, and tuna, H20 offers a wide assortment of fish and seafood, plus they offer steaks and chicken, too. H2O Seafood & Sushi takes pride in offering seasonal foods, whether from the sea or local farms. Their creative cuisine has ranked well with customers. Enjoy the sushi bar, and hip indoor and outdoor seating. Come to this casual family restaurant for a budget lunch or dinner, with a view of Port Jefferson Harbor as a bonus. The Steamroom, a local tradition for more than 35 years, is located in the heart of historic Port Jefferson Village. Enjoy clams, scallops, lobsters, chowder and even burgers. In warmer weather, visitors can enjoy their meals on the seaside deck. In addition, there's live entertainment all summer long. This eatery, established in 1929 on the banks of the Connetquot River, offers great seafood including king crab legs, Oysters Rockefeller, baked clams, potato-crusted cud, served up with live music. Entrees include fresh fish from their own boat, king crab legs, salmon, and for the truly hungry, a large seafood platter.